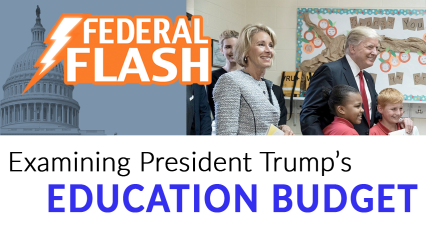 Today’s episode of Federal Flash examines which programs are funded, cut, or eliminated in President Trump’s education budget. It also covers new action from Education Secretary Betsy DeVos that could prompt a lawsuit, as well as a separate court order ruling against the Education Department on students of color being disproportionally identified for special education services. This week, President Trump issued his budget request to Congress for Fiscal Year 2020. Every year, the president outlines his budgetary priorities, including how much money the administration wants Congress to provide each federal program. Congress has the final say, but the president’s request gets the process started. Lately, the budget request hasn’t had much influence, but it’s still worth reviewing the administration’s priorities. President Trump’s budget proposes to cut Department of Education funding by $8.5 billion, or 12 percent, and to eliminate 29 programs, including Title II funds that support professional development for educators. Also eliminated were afterschool programs and the Title IV Student Support and Academic Enrichment Grant program—a program that received a major funding increase last year in response to the tragic school shooting in Parkland, Florida. The president also proposed to eliminate $190 million to improve literacy instruction. In a statement, All4Ed joined 60 other organizations in opposing the cut. More information on the president’s budget, including a full list of programs that would be eliminated, is available at https://www2.ed.gov/about/overview/budget/budget20/summary/20summary.pdf. The president’s budget request doesn’t just propose cuts to education funding. It also proposes to expand private school vouchers through $5 billion in tax credits. We covered that proposal in a previous episode of Federal Flash. In addition, the budget request includes an increase of $170 million for the Education Innovation and Research program to study stipends for teacher professional development and $50 million for a Student-Centered Funding Incentive Grant program that would support weighted-student funding in ten school districts. In other news, Secretary DeVos notified Congress that the administration believes it is unconstitutional for the Every Student Succeeds Act to prohibit religious organizations from providing what are known as “equitable services” in private schools. Federal law requires school districts to provide low-income students in private schools the same services that low-income students in public schools receive. 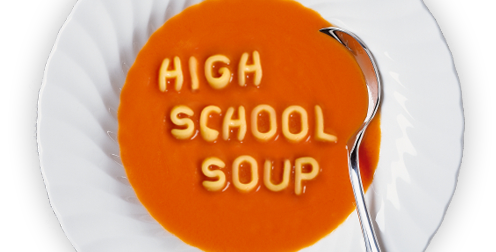 School districts can provide these services directly or contract with an outside entity – but they cannot be provided by a religious organization. That is, until now. Secretary DeVos sent a letter to Congress saying that she will no longer be enforcing the prohibition based on a 2017 Supreme Court decision. It’s quite likely that DeVos’s decision will end up in court as well. Our last story– After a two-year delay, a federal judge has ordered Secretary DeVos to begin implementing a regulation supporting students with disabilities. The rule, drafted by the Obama Administration, would require states to identify districts that disproportionally identify students of color for special education services, restrictive classroom settings, or discipline. Identified districts would be required to examine policies and practices that contributed to the “significant disproportionality” and fund remedies to address it. In arguing to delay the rule, the Department of Education expressed concerns that it would create an environment where children needing special education services would be denied them if districts were concerned about reaching racial quotas. A federal judge disagreed and ordered the regulation to be implemented immediately. Civil rights groups and Chairman of the House Education Committee, Bobby Scott, lauded the ruling as a win for students of color. It is yet to be seen how the Department will respond, but we’ll keep viewers posted as we learn more. 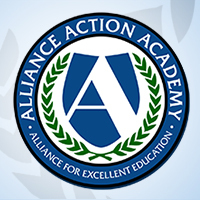 This blog post represents a slightly edited transcript of the March 15 episode of Federal Flash, the Alliance for Excellent Education’s five-minute (or less!) video series on important developments in education policy in Washington, DC. The video version is embedded below. For an alert when the next episode of Federal Flash is available, sign up at https://all4ed.org/publications/federal-flash/.